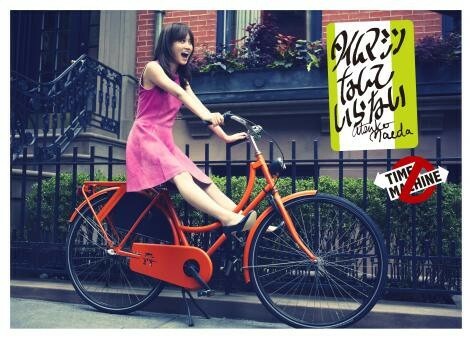 On August 27, the jacket covers for actress Maeda Atsuko's third solo single "Time Machine Nante Iranai" (on sale starting September 18) were released. All 4 of the jacket covers were taken in New York by a New York-based photographer. 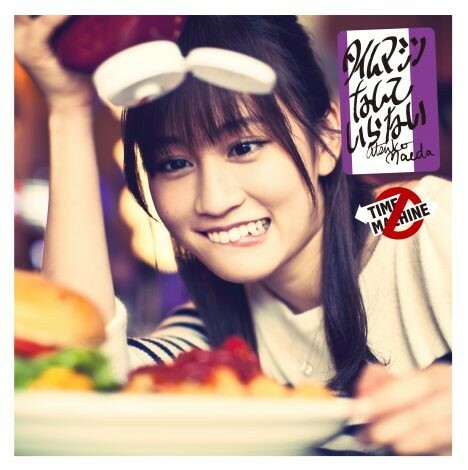 On her covers, she shows off her white teeth and her signature "Acchan Smile." 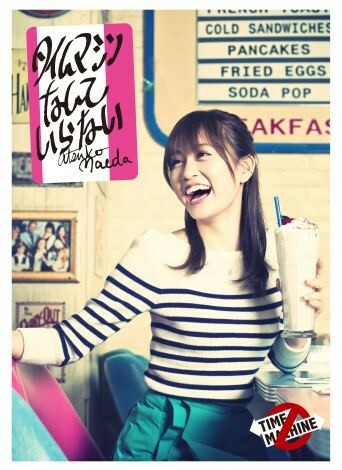 The Type A and D jacket covers were taken in an old diner, and Maeda, who is known as a big eater, was hyped-up looking at a king-sized shake and hamburger. According to those on set, after the Type-D photo was taken, Maeda accidentally put too much ketchup, which made the table quite messy. The Type-B jacket was taken in the early morning at Times Square among the busy and fast-walking business men. Type-C was taken in the Brooklyn Heights residential district away from the towering skyscrapers of Manhattan. The MV was also filmed there, and during her one-week stay, she proved herself as a "sunny girl" as it started raining a moment after filming was over. 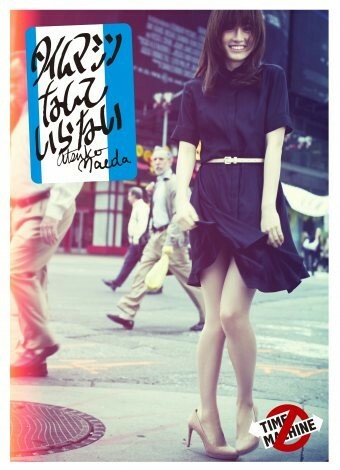 Below are the covers and details on Maeda Atsuko's new single. 2. Maeda Atsuko Tokyo-wan wo Tsuru! Oh, Oh, sorry guys! But even Acchan likes more the Cover Type A. Look on her Twitter. Remind me of the Burger thing when she went to New York. Acchan x Food OTP. She looks so pretty and precious! There's this 23 minute video/interview of her on the web somewhere (not translated) where she is filmed walking around Manhattan, crossing the Brooklyn Bridge, going into Brooklyn, and bits of her filming the MV. It's funny as hell. She goes into Harry Winstons and tries out some of the jewelery pieces that some celebs have used at the Oscars and such. She's shocked when they tell her the price of a diamond Bracelet. Later she begs jokingly for them to gift her the earrings. And Acchan looks beautiful in the PV preview too! Awesome covers, all. I prefer type A, it's more Acchan. Type B is very sensual show the new Acchan. I will wait this single on the TOP (Oricon Charts). Of course I will buy. She looks really pretty on all of them.